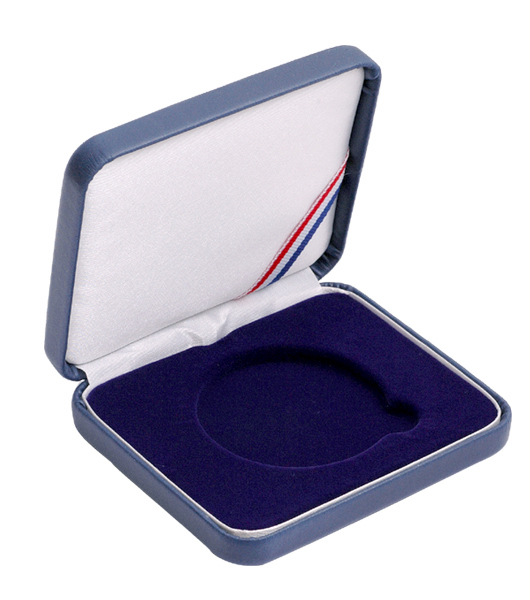 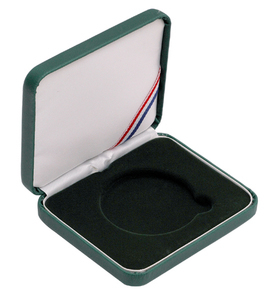 These 1 coin leatherette protective presentation cases for 47mm 1 ounce bullion rounds/coins have a bedding area with one coin placement area. This coin placement area measures 1& 7/8ths inches which will accommodate one 47mm airtight capsule and is made of a plush velvet material. This case is also made with a sturdy tension hinge that opens/closes like a ring box and it comes with a white cardboard sleeve to protect the presentation case. 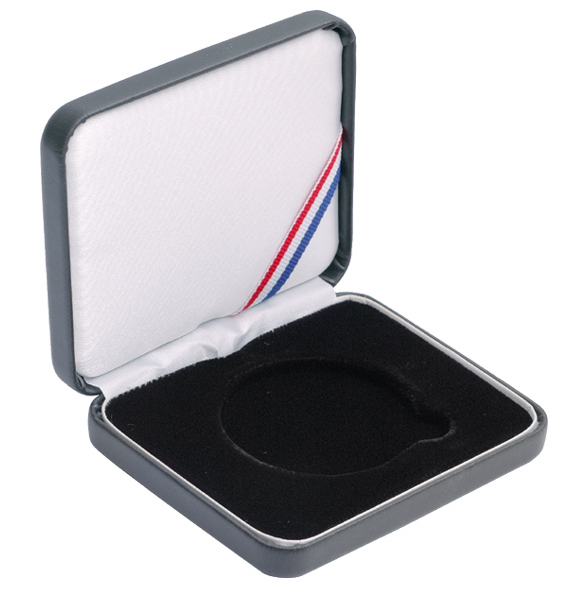 These case will help keep your collection pieces in top condition. 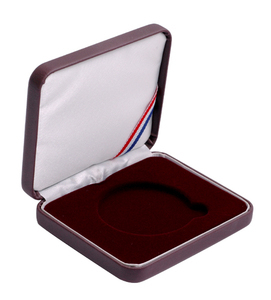 Black, Blue, Burgundy, & Green.